There is no denying the fact that sports in India is a big industry. Started in 2008, Indian Premier League is a cricket league that has taken cricket to a whole new world, making India the hotbed for cricket enthusiasts. To push the sports industry in India ahead, technology over the years has not left any stone unturned, and one of the most popular concepts is fantasy sports. Fantasy sports is a type of online game where participants form an imaginary or virtual team of real players of a professional sport and then compete based on the statistical performance of those players’ in actual games. What started as a concept, today is one of the rising markets in India. Fantasy sports platforms are getting significant funding from prominent VCs and the popularity is getting bigger and better. Started in 2012, Dream11 is India’s Biggest Sports Gaming platform with more than 4 crore users playing Fantasy Cricket, Football, Kabaddi and NBA. The Series D funded startup’s platform allows Indian sports fans to showcase their sports knowledge. We all know that AI over the years has found applications in several industries and time again the tech has proved that it has a major business impact — serving clients faster, better and make more money. However, it is not just the businesses that are using artificial intelligence, sports gaming platforms are also in the rat race to become top AI-driven platforms. And being a top sports gaming platform, Dream 11 is leveraging the superpowers of AI to make the experience better for its users. When it comes to fantasy sports in India, the IPL season is something that is really critical for platforms like Dream 11 —not only in terms of performance but also in terms of customer support. In order to deliver top-notch customer support, Dream 11 uses an AI-based bot. Created by Haptik, the Dream 11 customer support bot is a conversational AI that handles the massive scale of incoming requests by delivering instant responses without making anxious users wait. Also, the bot was designed and trained in such a way that it was able to answer most of the game related queries. 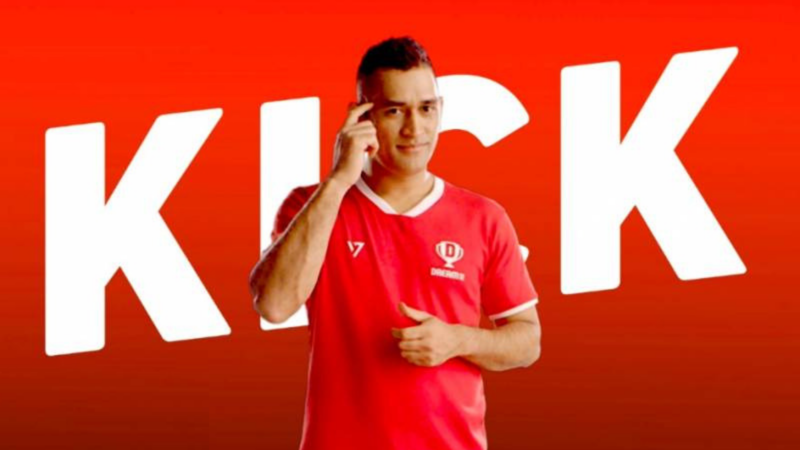 Customer support is not the only vertical where Dream 11 is making use of artificial intelligence, the fantasy sports platform also makes use of AI in craft personalized, contextual, and timely engagement campaigns to drive higher app monetization and retention. And for that, user-level behavioural insights are a must. Dream11 make use of California-based mobile analytics and mobile marketing company, CleverTap’s automated segmentation capability that uses RFM (recency, frequency and monetary) analysis to segment its user base into 10 distinct segments. The major benefit of RMF is that the platform can keep track of its users’ activity and their monetary values and that helps Dream 11 in curating user-centric campaigns that reduce at-risk and hibernating users over time. Also, the company can now build highly effective push notification campaigns based on specific historical and real-time in-app user actions or inactions. Now, using the AI-based advanced marketing automation platform, Dream 11 extensively taps into the sporting interests and loyalties of sports fans and provide a great product experience. The Sports industry in India is booming at a rapid pace — not only on the pitch but also in terms of sports-based application. And sought after technologies like AI and ML are becoming the backbone of those platforms. While the betting industry is already leveraging machine learning and artificial intelligence, fantasy gaming platforms are at a nascent stage. However, with use cases like Dream 11, it seems the fantasy gaming industry is also set to take a big leap when it comes to leveraging AI and ML to drive business.